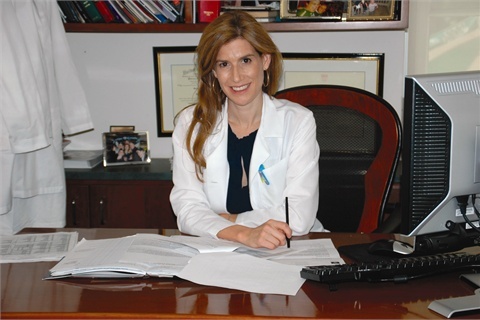 January 7, 2014 /0 Comments/in Toenail Fungus /by Jenn F.
“Dermatologists provide care of higher quality and lower cost than comparable services by other health care professionals,” says the American Academy of Dermatology. They add that skin diseases and dermatological conditions afflict nearly a third of the U.S. population and cost an estimated $34 million in economic loss to society each year. Did you know that dermatologists also specialize in the treatment of toenail fungus? A dermatologist is one type of specialist who can counsel you on how to get rid of toenail fungus. Why Should You Call a Dermatologist? While it may seem sensible to call your primary care doctor at the first sign of trouble, the AAD recommends that people see dermatologists for the most accurate diagnosis of toenail fungus. In one study, only 16% of doctors correctly identified the dermatological issue suffered by a patient, versus 93% of dermatologists. Another study found 319 errors in 260 patients assessed by primary care physicians; 86% of the errors were related to misdiagnosis and a “striking tendency to over-diagnose infectious dermatoses” like herpes, scabies, and pyodermas, while under-diagnosing dermatitis, rosacea, and psoriasis. Often, signs of toenail fungus can be mistaken for conditions like psoriasis or eczema, so it’s very important that you see the most qualified professional for a quick and accurate diagnosis. Some dermatologists may offer the latest techniques in toenail fungus treatment, such as laser toenail therapy. There is a misconception that dermatologists cost more — mostly due to their extensive training and knowledge. “After attending college, earning a medical degree, and completing an internship, dermatologists receive three more years of specialty training,” according to The Chicago Tribune. “During this period, they learn how to diagnose and treat the more than 3,000 diseases that can affect the skin, hair, and nails.” Most dermatologists have complementary training in other areas of medicine like pediatrics or surgery, and are board-certified. Despite their vast knowledge and narrow scope of practice, a study published in the Journal of the American Academy of Dermatology found that average cost to begin therapy (including professional services, lab tests, referral fees, and medications) revealed that there were no statistically significant differences in cost between seeing a dermatologist or a general practitioner. A dermatologist can accurately diagnose your nail problems. Nail problems make up about 10% of a dermatologist’s practice, with half of those diagnoses related to toenail fungus specifically. In addition to checking the nails for signs of fungus, dermatologists also inspect the nails for clues about our general health. Changes in the nail like discoloration or thickening can also signal serious health problems affecting the liver, kidney, heart, and lungs. Dermatologists are trained to cover topics like diet, exercise, spa safety tips, and disease management. This “total body approach” emphasizes a focus on overall wellness, rather than simply offering a script for an oral antifungal drug. Dermatologists are a great resource for learning how to prevent common conditions like nail fungus. One of the products dermatologists and podiatrists recommend for preventing toenail fungus is the SteriShoe UV shoe sanitizer, a home device that kills up to 99.9% of all fungus, bacteria, and viruses living inside your footwear in just 45 minutes. Toenail Fungus Treatment Review: What Is Dr. Paul's Piggy Paste?